We’re going to walk through how to add and delete rows to a data frame using R.
So we’ve shown you how to create and perform basic manipulations on a data frame object using R, including adding and removing data columns and calculated fields. For the next step in our tutorial, we’re going to talk about adding and removing rows. We hit submit and see the following…. Indicating the process was successful. 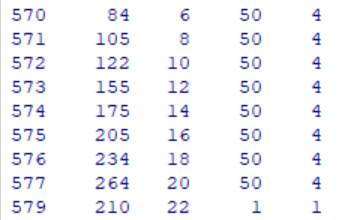 As you can see, we have inserted a row into the R dataframe immediately following the existing rows. We now have a weight value of 210 inserted for an imaginary 22nd measurement day for the first chick, who was fed diet one. If we needed to insert multiple rows into a r data frame, we have several options. First, we can write a loop to append rows to a data frame. This is good if we are doing something like web scraping, where we want to add rows to the data frame after we download each page. We can still use this basic mechanism within a loop, iterating our results and adding new rows to the data frame. And that covers how to add a row to a dataframe in R.
You also have the option of using rbind to add multiple rows at once – or even combine two R data frames. If you want to add rows this way, the two data frames need to have the same number of columns. It is generally considered good form to initialize variables before you use them. This may be advisable if you have to perform complex calculations to add a new row to the dataframe. In this case, we will create an empty row that you can populate at a later date. We accomplish this by taking your existing dataframe and adding a row, setting the values of this row to NA. If you are looking to create an empty data frame, check out this article. Where, as you can see, we have surgically removed observation 578 from the sample. For larger data removals, it is generally easier to use the methods recommended for selecting a subset. This allows you to set up rules for deleting rows based on specific criteria. For example, see the item below. We are able to use the subset command to delete rows that don’t meet specific conditions. A common condition for deleting rows in r is Null or NA values which indicate the row is effectively an empty row. There are actually several ways to accomplish this – we have an entire article here. For the sake of this article, we’re going to focus on one: omit. The omit function can be used to quickly drop rows with missing data. Here is an example of using the omit function to clean up your dataframe. Next up – how to merge two R data frames. Or if you want to skip ahead….